To hear Melissa Fernandez tell it, siloed instruction — where subjects like science, math, and English are taught separately — might not be the best way to impart many of the crucial 21st century skills students need to thrive in today’s world. Get students making more — a lot more, if possible. Fernandez is the instructional supervisor for industrial education and technology education for the Career and Technical Education Dept. at Miami-Dade County Public Schools in Florida — and a huge proponent of makerspaces. Back when she was an engineering teacher, she turned her entire class into an instructional makerspace, and saw students bloom in ways she never could have imagined. Makerspaces are big at Miami-Dade, which even designates certain schools as STEM- or STEAM-focused. “It looks at how schools integrates either STEM or STEAM,” Fernandez said of the designation. “Those schools are generally more successful at grabbing student attention, and creating spaces that grab that attention.” The district is even partnering with a company called United Data Technologies, or UDT, which has helped design makerspaces with Miami-Dade and helped to provide some of the high-tech equipment. 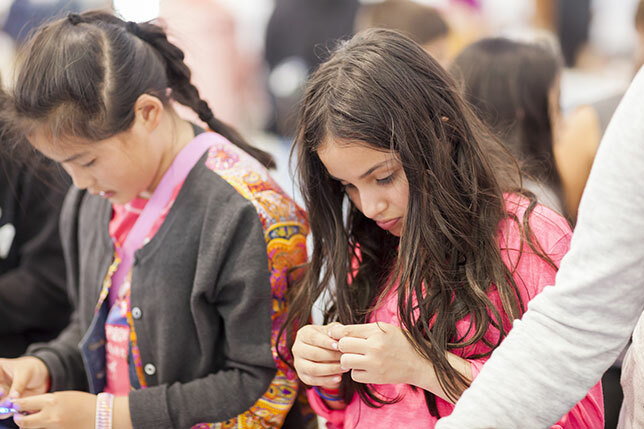 While Fernandez admits that disparities such as gender gaps and students' dislike of certain subjects can be a serious problem, she says makerspaces help bridge these gaps. "As you create more of these learning spaces, you see more girls join, especially in hard science areas. You're not just learning 3D CAD to design a building," Fernandez said. "You're using it to create a vase or a toy or anything. It's open-ended." One teacher Fernandez worked with ran a successful makerspace with a robotics and engineering focus that drew in top-tier students, who often took many AP classes. One student, who was not a strong reader and often struggled in his classes, had strong design skills and was encouraged to join the team. “He quickly started to grow and develop with those AP students,” Fernandez said. “He told his teacher: ‘Nobody has ever valued this about me before.’” By the end of his senior year in high school, he was taking advanced and AP science classes, receiving support from his robotics club peers in exchange for him supporting other students in their design skills. What are the goals of the space? Who are the key personnel and what are their roles? Where will the space be located? How will the space be utilized by teachers and students? How will we know if the space is an effective learning tool? How will we fund our materials and supplies? How will we sustain the program?